Why oh Why? Looks painful doesn’t it. Can you do this to your face? This photo scares the sh*t out of me. 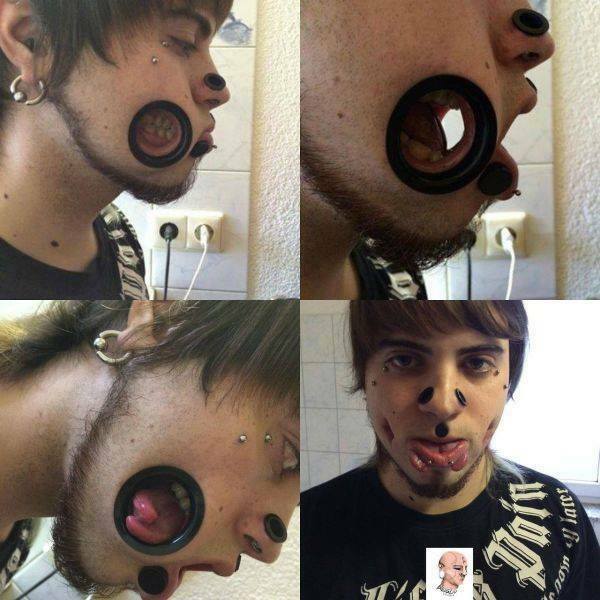 Why would anyone do this to their face. What if a fly goes in his mouth, lol….EWWWWWWWWW.